Located 32 km east of the Balinese ferry port of Gilimanuk, lies the village of Pemuteran on the northwestern coast of the island. Dotted with a number of large-scale resorts, it’s the small Taruna Homestay that stands out. Tired and weary from our long day of traveling from Surabaya, we arrived after dark to a wondrous welcome. From the start we knew that the staff were going to go to any length to ensure a pleasant stay. From our delicious welcome drinks to a customized welcome message beautifully written on a leaf, Taruna’s family pays close attention to detail. Upon stepping foot into the rooms at Taruna Homestay, guests are transported into a lap of luxury. The large and extremely comfortable canopy bed is adorned each day with fresh flowers from their impeccable gardens. The crown jewel of the room, however, is the open-air shower. 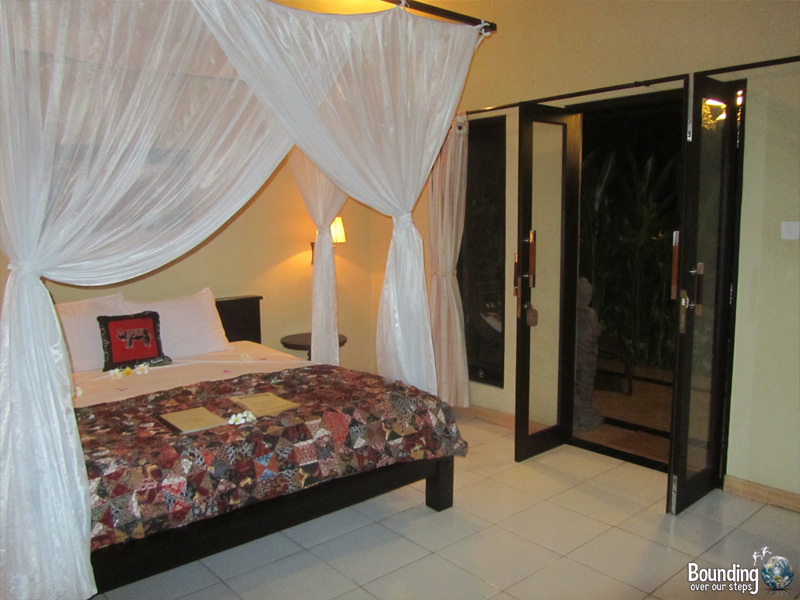 Included in the room for convenience are a beach bag, an umbrella, kimonos, slippers and a safe for valuables. 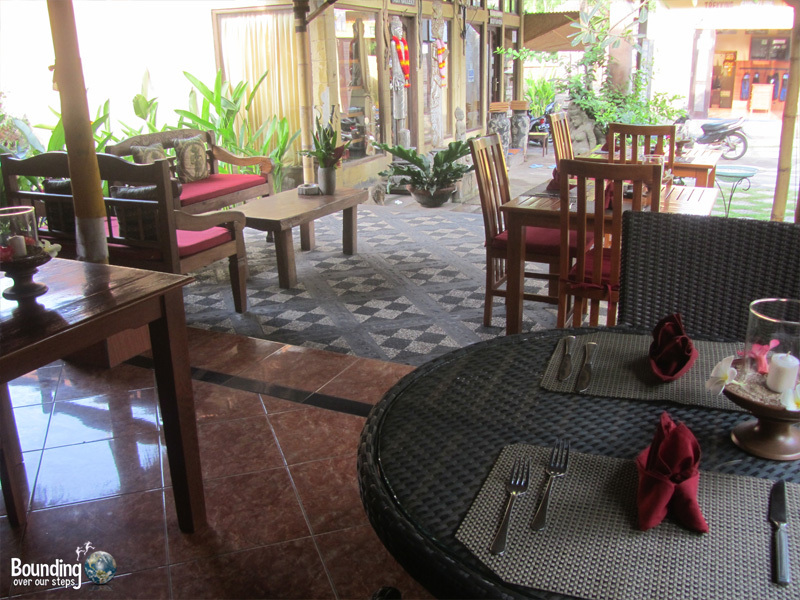 Rooms are equipped with air-conditioning and the wifi signal extends to the rooms, even on the terrace. Although Taruna Homestay doesn’t offer a beachfront experience, the gorgeous pool with the view of the mountains more than makes up for it. With the public beach and its fantastic snorkeling only a ten minute walk away, the peaceful and private oasis at Taruna’s is magical. 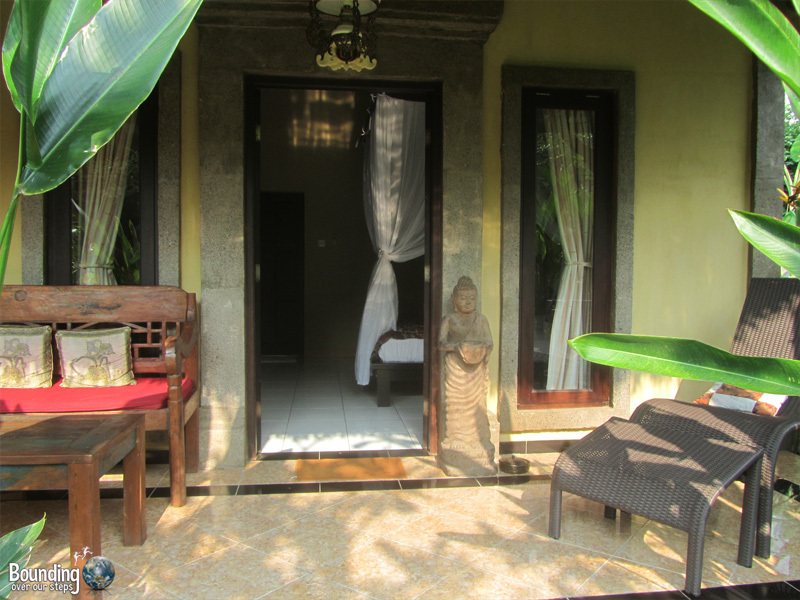 Unlike many other accommodation options in northwestern Bali, Taruna Homestay provides free wifi. Laundry, transport, tours, diving and snorkeling are other services available. Everywhere we went in town, locals gave us approving smiles when we said we were staying at Taruna Homestay. It is easy to see why the Taruna family is well-liked in the community. 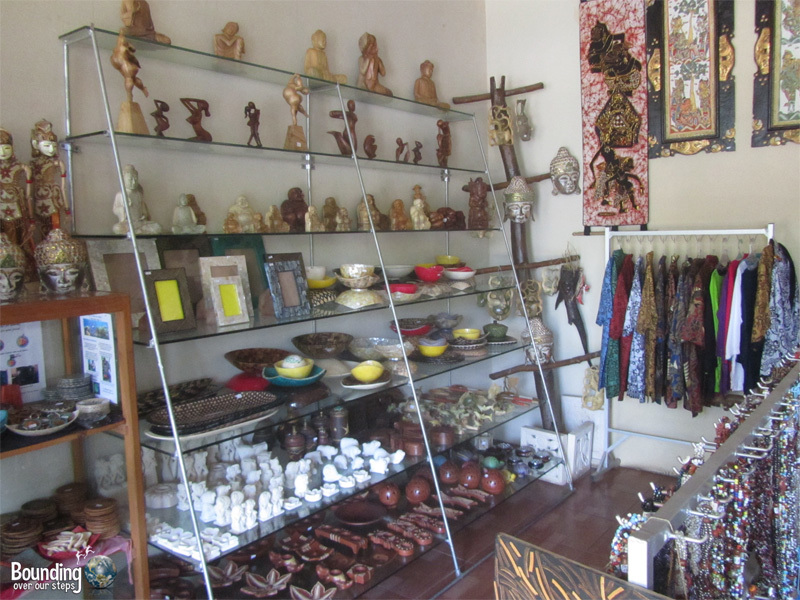 Attached to the main office is an art gallery, showcasing handicrafts from local artisans, with proceeds from sales going directly back into the villagers’ pockets. Also, Taruna was proud to announce that he has adopted a baby coral, as part of the Bio Rock coral rehabilitation project. Look for his name underwater when you go snorkeling in the regenerated coral reef! 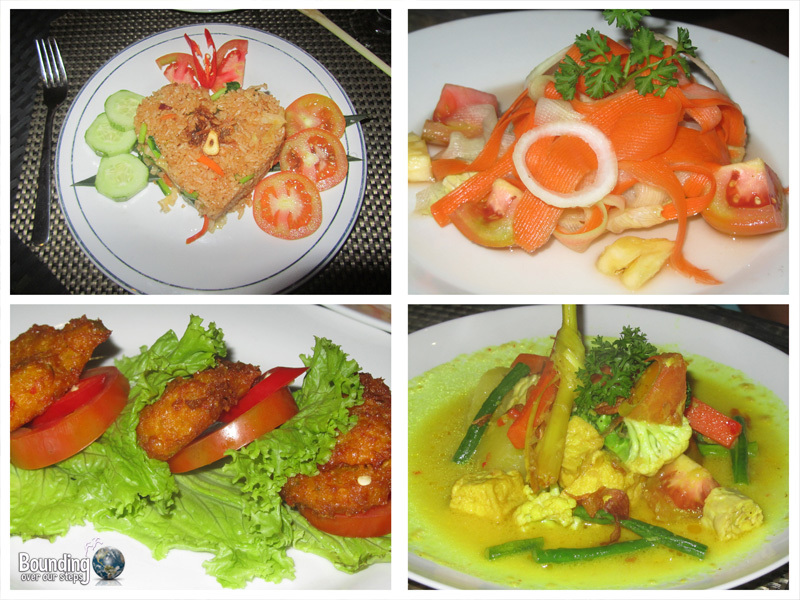 The restaurant attached to Taruna Homestay serves up traditional Balinese dishes. All meals, apart from the set breakfast menu included in the overnight stay, come with a dish of peanut and a welcome drink of the local alcohol, Arak. Honey and lemon are typically added to the drink, but the staff happily catered to our vegan request of substituting brown sugar for the honey. 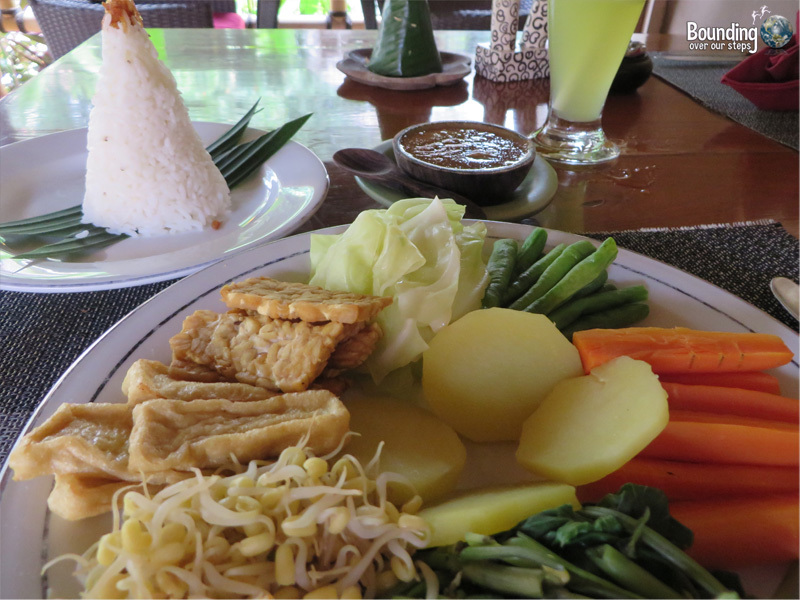 As vegans there are several options on the menu, such as nasi goreng (fried rice), kare sayur (vegetable curry) and pecel without the egg (vegetables, tempeh and tofu with a spicy peanut sauce). Unfortunately, the noodles are made of egg so the mie goreng (friend noodles) were not for us. 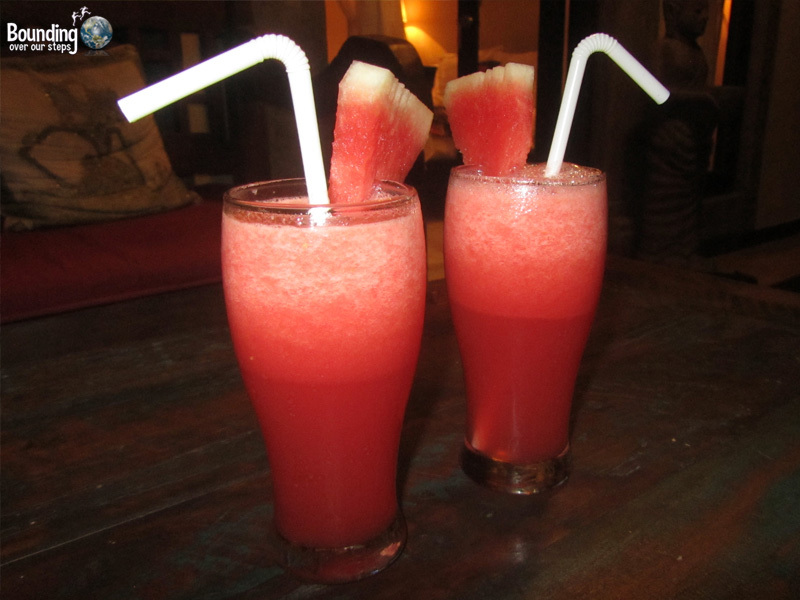 The fresh fruit juices though were an accompaniment to every meal, and they never lasted long. Whether a grounds keeper, a cleaning staff member or even Mr. Taruna, himself, no one will walk by you without saying “hello”. Even the construction workers building a larger restaurant greeted us every day. The staff here really take the time to get to know their guests and are very willing to share their culture, language and personal stories. The secret to Taruna’s success is that they make changes based on customer feedback. This not only allows for more organic improvement to their homestay, but it also demonstrates how much they truly value their guests. 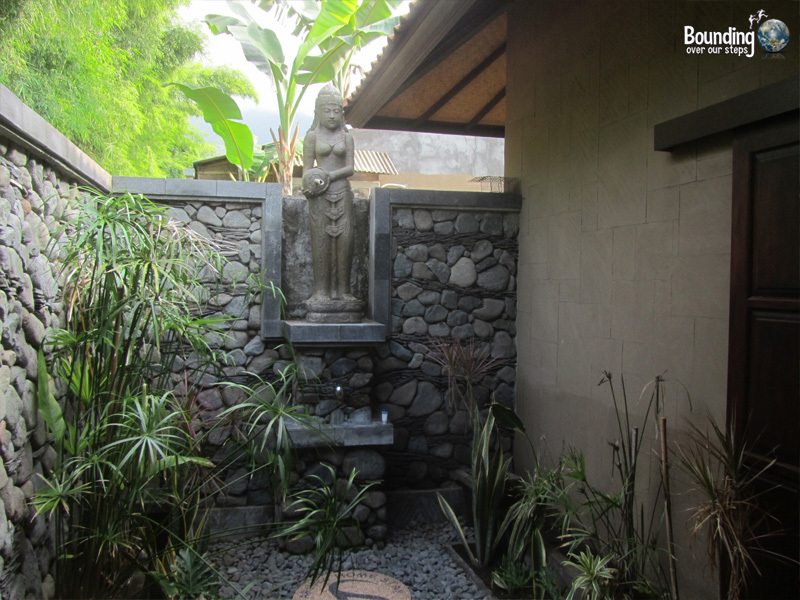 We wouldn’t dream of returning to Bali without spending a few nights at Taruna Homestay! From the moment we arrived, we felt like part of the family. Often overlooked by tourists to Bali for the hotspots of Kuta and Ubud, Pemuteran is definitely worthy of a visit. And when you’re here, know that the friendly faces of Taruna and his family will be smiling to greet you.